I love YA! So when a friend asked me if I could recommend any young adult fiction for her cousins, I was super excited. I recommended a ton of YA novels, but what kind of African book lover would I be if I didn't recommend some YA fiction by African authors. 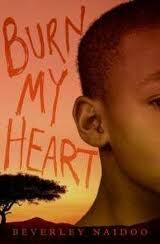 There's also the Burt Award for African Literature, an annual literary prize recognising excellence in young adult fiction from Africa. There is a Burt Award in Ethiopia, Ghana, Tanzania, and Kenya (couldn't find any winners from Kenya). 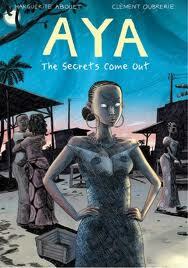 Aya is a graphic novel set in 1970s Abidjan about the things middle-class teenage girls get up to (the Aya series have been on my wishlist for a while now); Coconut tells the story of a black child growing up in a white world; Spilt Milk is the story of two passionate people who share a shameful past and a tenuous present; Lucky Fish is told by a 13-year old boy during apartheid in South Africa, when his parents become political prisoners; Akata Witch tells the story of a 12-year old girl who doesn't fit in, until she discovers she has magical powers; Zahrah the Windseeker is about a girl born with dreadlocks, in a kingdom where children born with 'dada' are said to have super powers; Lucky Simelane is the story of Lucky Simelane's search for his true identity; Rainmaker documents the extraordinary coming-of-age journey of a young man living in the ghetto; Call on the Wind follows Isaak and Liesa as they grow up and fall in love in their small Griqua fishing village on the Tsitsikamma coast; The Boy Who Harnessed the Wind is the story of William Kamkwamba, a young man from Malawi, who, at fourteen years old, battled through extreme poverty and hunger to build a series of windmills from scratch that could generate electricity; Between Sisters tells the story of a 16-yer old girl who moves to Kumasi, Ghana to look after a distant relatives son and live her dream of becoming a dressmaker; Powder Necklace tells the story of a young girl sent back to rural Ghana by her mother, and her experiences as the new girl and foreigner in Ghana; InTrue Murder we meet Ajuba, and 11-year old who has been abandoned at a Devon school by her Ghanaian father; Journey to Jo'burg is the story of two children travelling alone to Jo'burg to try and find their mother; The Other Side of the Truth is a novel about a brother and sister in Nigeria who become political refugees; Burn My Heart tells the story of two boys, white and black, with an uneasy friendship in 1950s Kenya; In A Long Way Gone, Ishmael Beah tells his experience as a child soldier from Sierra Leone; Imagine This is the journal of Lola Ogunlowe charting her survival from childhood to adulthood; and Now is the Time for Running is a story about Deo, and his brother Innocent, forced to run for their lives after soldiers attack their village. 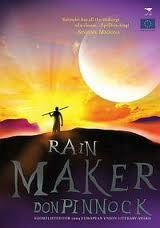 I've only read Imagine This by Lola Ogunlowe (great novel), out of all the mentioned. 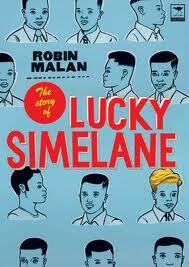 Thanks for this, also hearing about the Burt Award for African Literature for the first time. You're welcome! I'm yet to read Imagine This but have heard great things about it. What a great collection! I've managed to read only seven of these, so clearly must try to search out more :) Coconut Milk is on my shelf so I do look forward to picking it up. I was really excited putting this list together :) and Coconut has been on my shelf for a while as well. Thank you for this list. I came seeking it out after looking at hundreds of ya fiction books all with the same type of girl with the same type of dress in the same places with the same problems. I get tired of those gruffly ball gowns and blond ringlets on ya fiction novels. 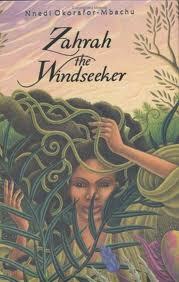 This list will help me get away from that rut and read something new. Hi Lakija, You are very welcome. Your comment put a smile on my face. This was one of the main reasons why I initially made the list for my friend - so she could explore other possibilities. I do hope you enjoy them, whichever books you decide to read. These look interesting. Some more books for my TBR. 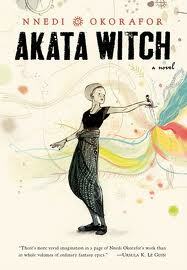 A great list of African YA. 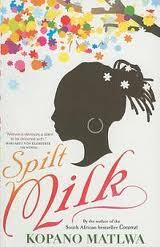 One will never think there is such a trove of African YA. I've read only one: Powder Necklace. Thank you! 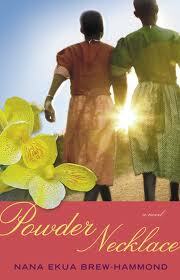 I sadly haven't read "Powder Necklace", but have it on my wishlist. I am a South African English teacher in Taiwan and am busy planning an international trip with some of the students to South Africa. In preparation, I'd like to have suggested YA books that we could read and discuss beforehand, as for most this will be their first trip to Africa as well as being exposed to so many diverse cultures. Any ideas? Thanks! That is great! Sounds like an amazing trip. What's their age range and is there any specific type of information you'd like your students to have? Also would you like more specific to South Africa, or Africa in general? 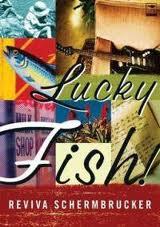 The South African publisher, Jacana, publishes a number of YA fiction (http://www.jacana.co.za/book-categories/children-young-adults-a-libraries/young-adults). 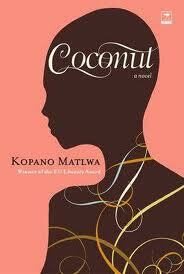 "Coconut" by Kopana Matlwa is a good one. 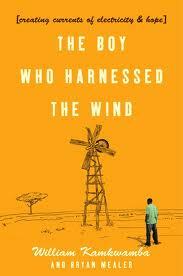 There's also "Themba: A Boy Called Hope" set in South Africa and centring on football and the 2010 World Cup. I would probably also recommend "Purple Hibiscus" by Chimamanda Ngozi Adichie (although that's set in post-colonial Nigeria). 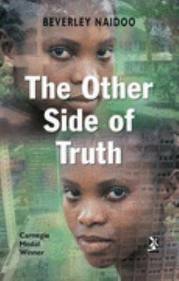 Beverley Naidoo's The Other Side of Truth is superb. 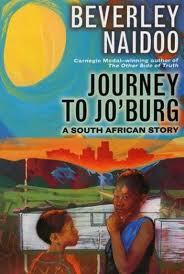 I am about to read her Journey to Jo'burg which was banned in South Africa until 1991. 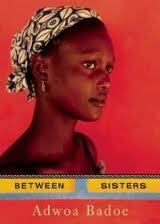 The two Kopano Matlwa books were marketed as adult rather than YA by her publishers - loved them both. Thanks for sharing this book review. I thought every readers should read about this book. Did you know that you can earn dollars by locking special sections of your blog or website? Simply join AdscendMedia and add their Content Locking widget.